This year is an eventful year for Hong Kong. The city is poised to see the election of a new chief executive on March 26, and 2017 also marks the 20th anniversary of the Hong Kong Special Administrative Region. On another continent, and just one day before the chief executive election here, the European Union will celebrate the 60th anniversary of the Treaty of Rome that laid the foundation of the union. The EU and Hong Kong may seem very different from one another, but if we look deeper, the two could be familiar strangers. Philosophically, the EU’s concept of “unity without uniformity” resonates perfectly with the spirit of “one country, two systems” here. And, to a large extent, both the EU and Hong Kong are “strange animals” in terms of their unique place in the global system. There are other similarities. The EU suffers from a perceived “democratic deficit”, Hong Kong is struggling to establish a “true demo­cracy”. The EU faces a backlash against the consolidation of a political union, Hong Kong is stuck in its political reform. The EU frets over the ascent of populism and nationalism, Hong Kong fears the rise of localism. Facing these challenges, both sides are at a crossroads, compelled to review their past and reflect on future paths. Giving these commonalities, it is surprising that so little attention is paid to the EU in Hong Kong’s discussions on the future of “one country, two systems”. As a researcher in European studies in Hong Kong, I believe that a study of the EU would offer valuable lessons for our problems. These lessons can be summarised in what I call the “3Cs”: constitution, communication and consensus. Chief Executive Leung Chun-ying, who is due to step down this year, holds up a copy of the Basic Law during a Legislative Council meeting in 2013. It is imperative that any discussion on the future of “one country, two systems” begins with the Basic Law. The first lesson is to come back to the constitution. Despite its inherent flaws and the multiple crises along the way, the EU has evolved from a group of six members into a union of 28 states under a supranational governance structure. This has largely occurred on the basis of what we call the acquis communautaire, which includes the accumulated legislation, legal order and court decisions that constitute the body of European Union laws. In particular, the Treaty of Rome and its subsequent revisions have served as the constitutional framework to navigate the EU’s evolution. Although the EU’s progression is slow and not without setbacks, there has been a strong sense of working through the constitutional treaties which enables the EU to overcome the seemingly unworkable system. The EU’s adherence to its constitutional framework and the supremacy it gives to European law should constitute “foreign stones that may serve to polish domestic jade”. Like the EU experience, “one country, two systems” is an evolving formula that calls for continuous improvements in practice. In recent years, the city has seen a strong push for reform, yet many of the discussions undertaken are out of the context and unrealistic. In fact, a number of the issues raised have already been addressed in the Basic Law, the city’s mini-constitution. It is thus imperative that any discussion on the future of “one country, two systems” – which still provides ample room and flexibility to accommodate the pleas of different stakeholders – begins with the Basic Law. Li Fei, chairman of the Hong Kong Basic Law Committee under the National People’s Congress Standing Committee, speaks at a luncheon with Hong Kong lawmakers and officials in November 2013. Hong Kong must create effective mechanisms for political communication and consul­tation between the executive and legislative organs, between the pro-establishment and pan-democratic camps, and between the SAR and Beijing. The second lesson is to establish effective channels of communication. The EU is a system of multilevel governance that involves multiple actors and multiple methods of decision-making. The functioning of such a complicated system would not have been possible without the various formal and informal mechanisms of communication between EU institutions and member states. Such open and institutionalised ways of communication are not sufficiently seen within Hong Kong or between Hong Kong and Beijing. Consequently, the city is constantly trapped in confrontations over policies, politics and, particularly, its relations with Beijing. To avoid unnecessary confrontation and facilitate constructive interactions, a priority for Hong Kong is to create effective mechanisms (formal or informal) for political communication and consul­tation between the executive and legislative organs, between the pro-establishment and pan-democratic camps, and between the SAR and Beijing. This could be achieved within Hong Kong’s constitutional framework. Hong Kong’s pro-democracy lawmakers hold up banners while being escorted out after they interrupted the chief executive election forum in Hong Kong last Sunday. With increasing social movements and political demonstrations, the SAR is transforming from an economic city into a political city, where politics and society are highly polarised. Based on the constitution and through communication, a third lesson for Hong Kong is to rebuild a consensus. The EU is essentially a project of consensus-building, which has in turn contributed to European integration. For decades, the post-war European consensus on achieving peace and prosperity through functional economic integration has been an enabling factor for the EU’s development. That consensus seems to be losing momentum right now. 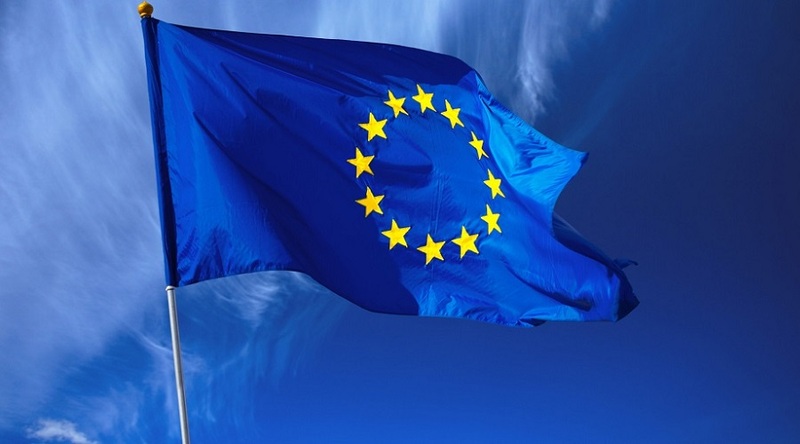 The hopes are that a new consensus could be built on the occasion of the EU’s 60th anniversary. Hong Kong is facing a similar dilemma. With increasing social movements and political demonstrations, the SAR is transforming from an economic city into a political city, where politics and society are highly polarised. Gradually, people seem to be getting used to divisions and confrontations, forgetting the wisdom of making compromises and consensus. It is time for Hong Kong to rebuild a much-needed consensus, not only on its internal governance, but also on its role as a go-between for China and the world. Finally, we should be aware that the EU and Hong Kong’s “one country, two systems” are both unprecedented political experiments in supranational and national governance. Despite the challenges and the crises that have emerged, they are still something worth fighting for, because they represent future possibilities, and hope.